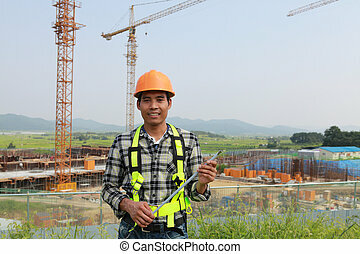 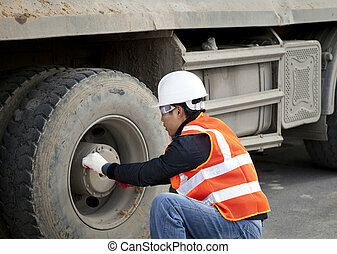 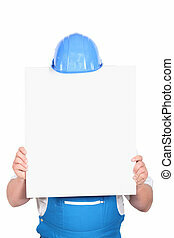 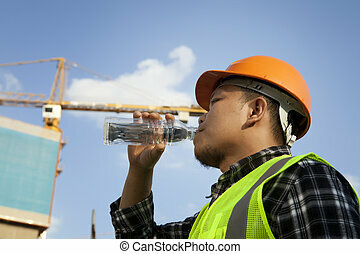 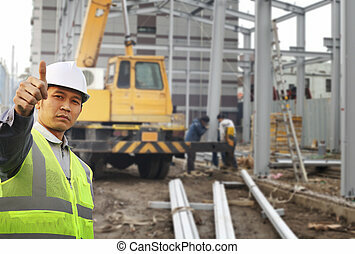 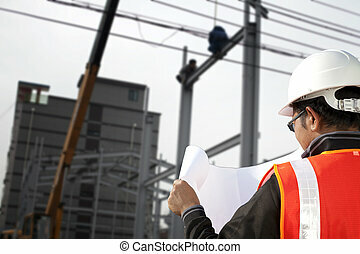 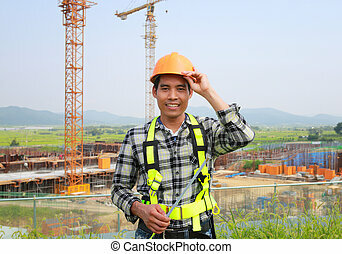 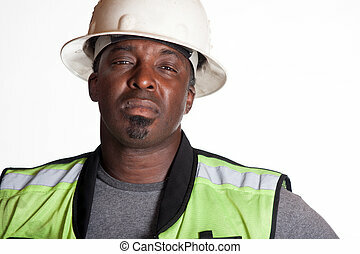 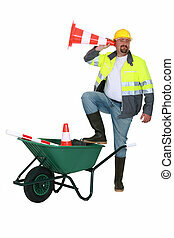 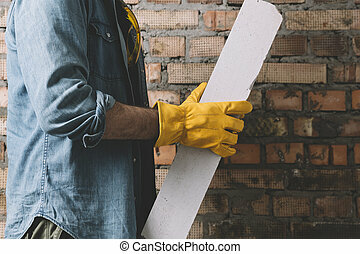 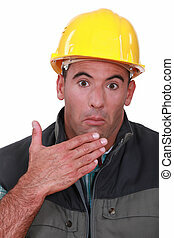 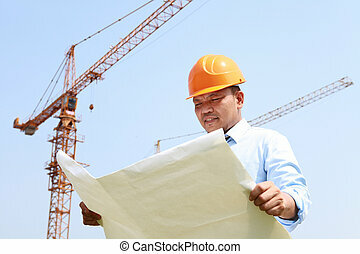 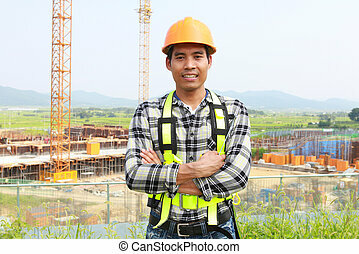 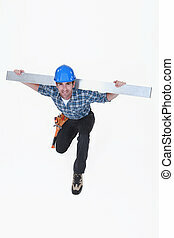 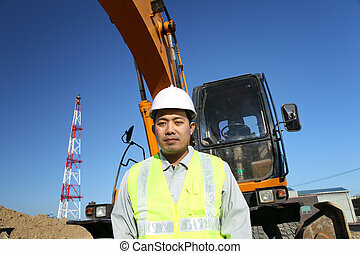 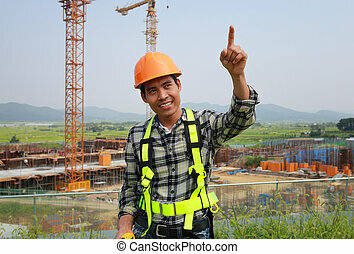 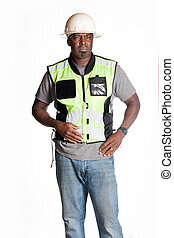 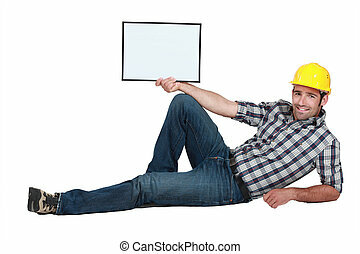 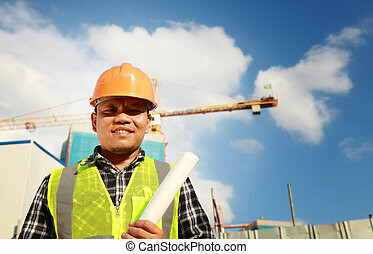 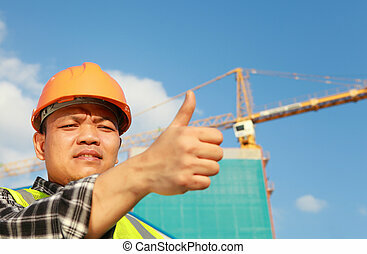 Construction worker. 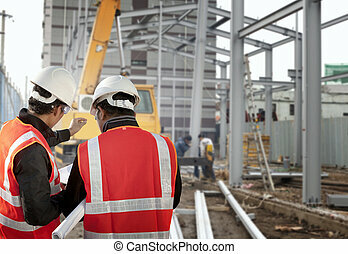 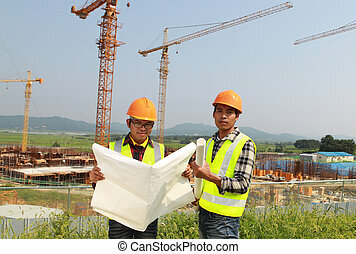 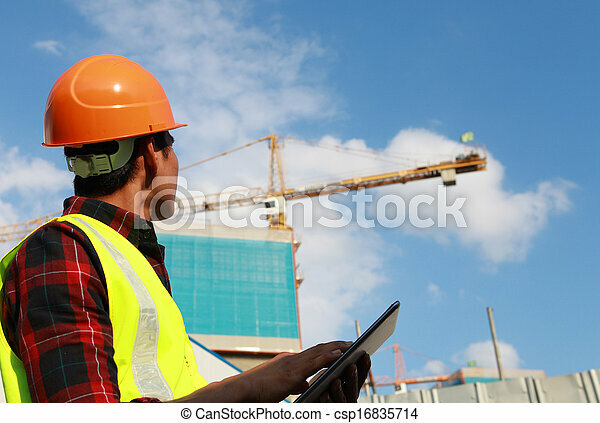 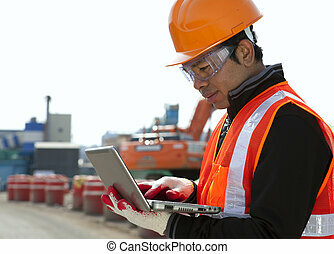 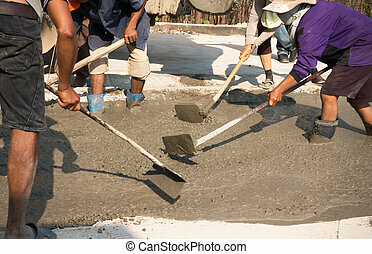 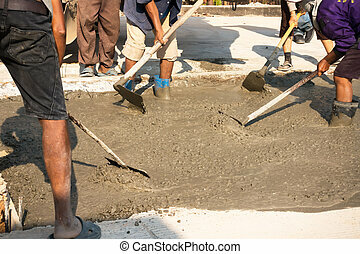 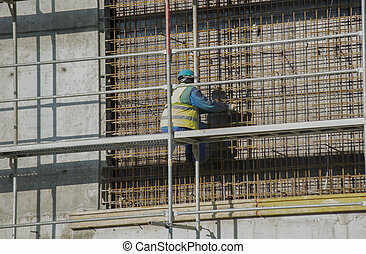 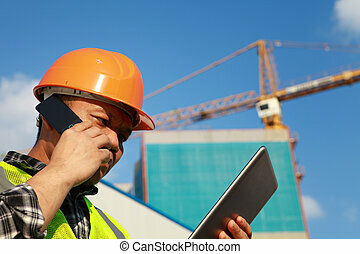 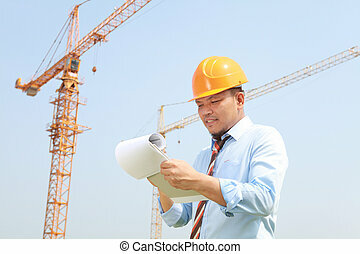 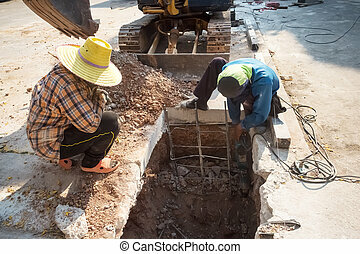 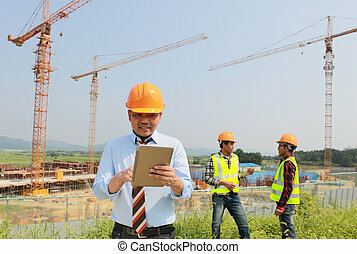 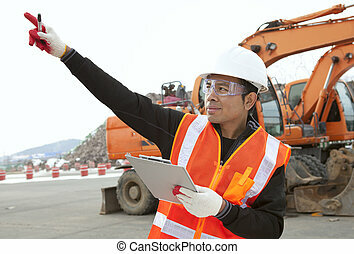 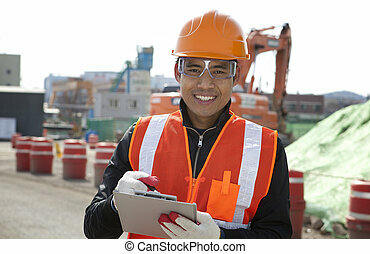 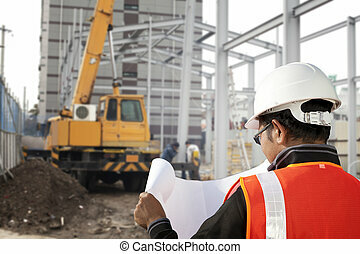 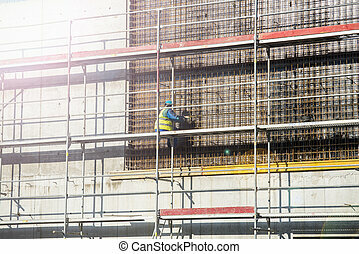 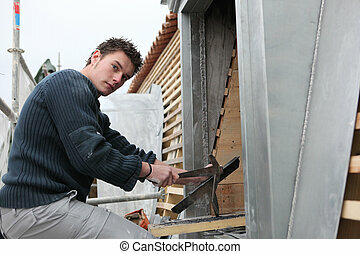 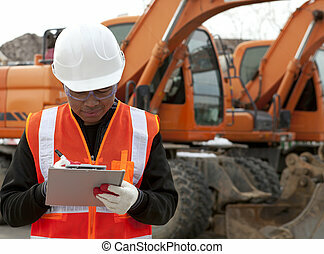 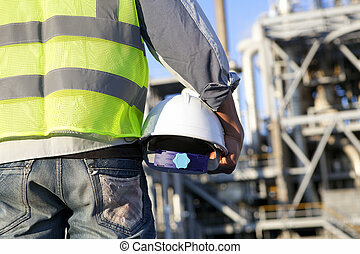 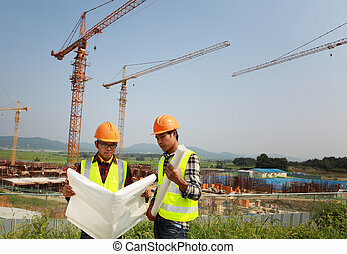 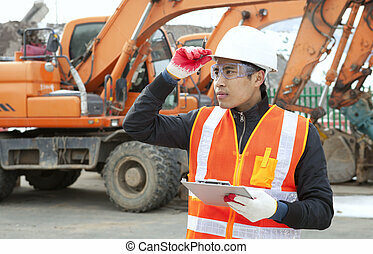 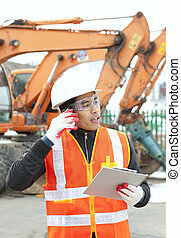 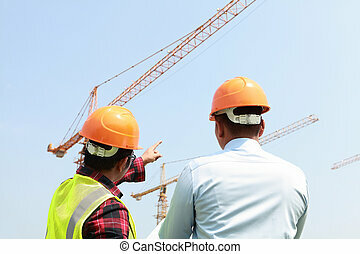 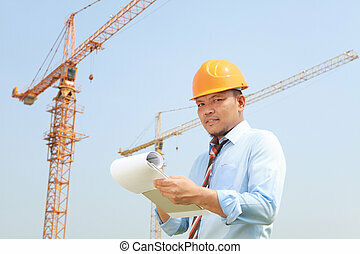 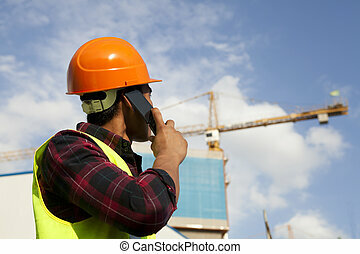 Builder worker activity with digital tablet on construction site. 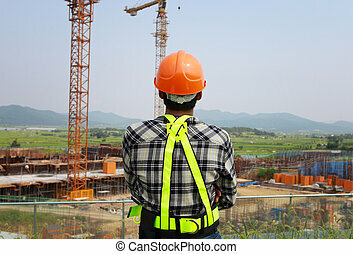 Builder inspector checking a construction site works.